Tips for running effective meetings is our new course. Organising and running effective meetings is a vital management skill that staff in most organisations need to be able to master. However, many staff who are responsible for managing meetings have not been trained on the planning tools and skills that they need. This is stuff that we tend to pick up as we go along. We have recently organised training for some Brussels based trade associations whose ‘business’ is delivered largely through working group meetings and technical committees. We see the problem as being a management issue, not just down to personal communication skills. You need to learn tips for running effective meetings. Secondly, it is about the chair or moderator who knows how to play the room. Some people have a natural aptitude and others don’t. But we can all learn from a checklist of best practices. In our training, we explore the strategies and techniques for running effective meetings. 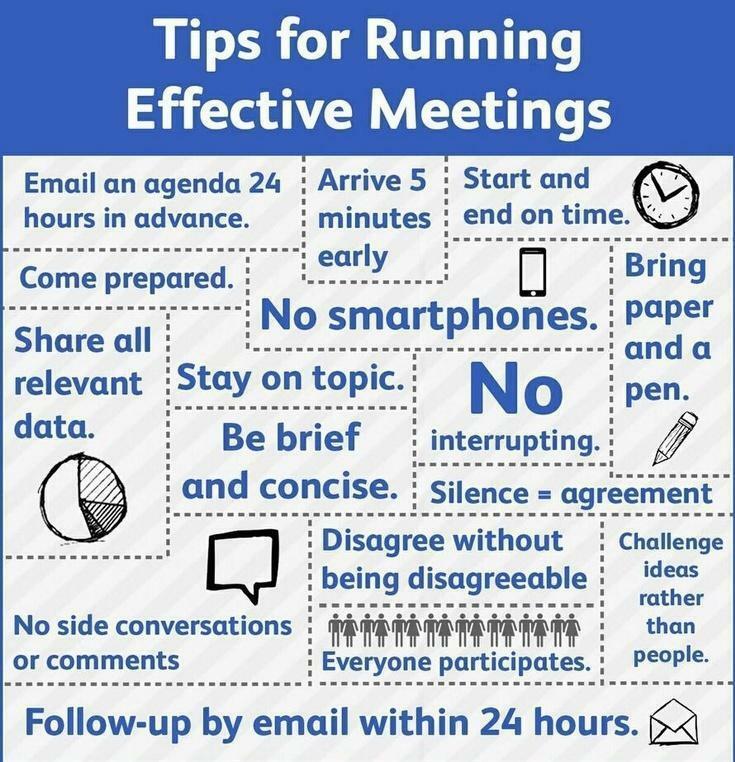 Call us to find our some tips for running effective meetings.